Mark is a critical investigative researcher who is fascinated by Ancient Mysteries, Biblical History and the Origins of Man. He is an author, public speaker, blogger and publisher. 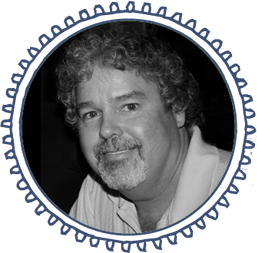 Born in Jacksonville, Florida, Mark has lived the majority of his life on Florida’s First Coast and now resides in Fernandina Beach. After graduating from a small private high school on Jacksonville’s Westside, Mark moved to Arlington, Texas, where he acquired a Bachelor of Science degree as a Theology Major. After seven years in Retail Sales with Circuit City and CompUSA, Mark resigned his Sales Management position with CompUSA and accepted an opportunity with American Family Life Assurance of Columbus (AFLAC). This new business model involved establishing a working relationship with small business owners. Having discovered that there was no functioning networking group in the Amelia Island area; Mark started one with the help of a few B2B acquaintances and in April 2007, The Amelia Business Network was born. The group came to be widely known around the community as ABN. Each month, Mark hosted a ninety minute luncheon featuring a formatted program designed to be part networking and part interactive business seminar. By the end of 2010 the group had grown to more than eighty active members. In 2013, Mark began to focus more of his attention on motivational writing and speaking. A self-hosted web page was developed for his weekly blog, Splinter In The Mind’s Eye, with plans to composite some of his motivational writing into self-published book form. In January 2015, he published his first book, End The Beginning, a non-fiction, critical research volume that examines the possible reality of Noah’s great flood. Two additional books in the series are on the horizon, as well as three composite volumes of motivational writings. He is currently available for radio and podcast interviews about his book, as well as speaking engagements featuring the content of his book and motivational presentations on a variety of topics. “You weren’t born into this world to be mediocre.